The following steps will assist if you are experiencing issues using the Verified First browser-based integration tool. Note that the tool is currently only available inside Google Chrome browser. Other browsers, such as Mozilla Firefox or Internet Explorer, are in development. Please confirm you are using Google Chrome before completing the following steps. If you are still experiencing trouble after taking these steps, please contact ​Client Services at 844-709-2708 or ClientServices@VerifiedFirst.com. Open the Verified First integration tool. Locate the Settings menu by clicking the gray gear icon in the lower right. The green 'Logout' button will be visible. Log out, then log back in to refresh the tool. You may notice that the 'Build Version' number changed to reflect the latest update. ​If this does not correct the issue, please move on to Step 2. 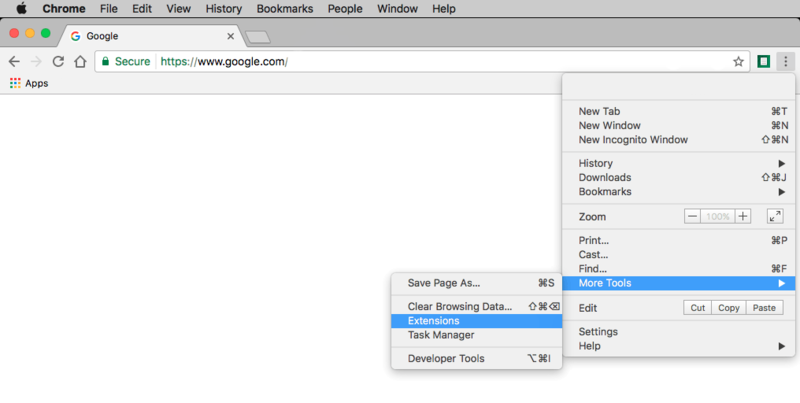 In the Google Chrome Settings menu, click on 'More Tools' then 'Extensions'. A new tab will open showing all installed extensions. Tick the checkbox marked 'Developer Mode.' The 'Update extensions now' button will appear. 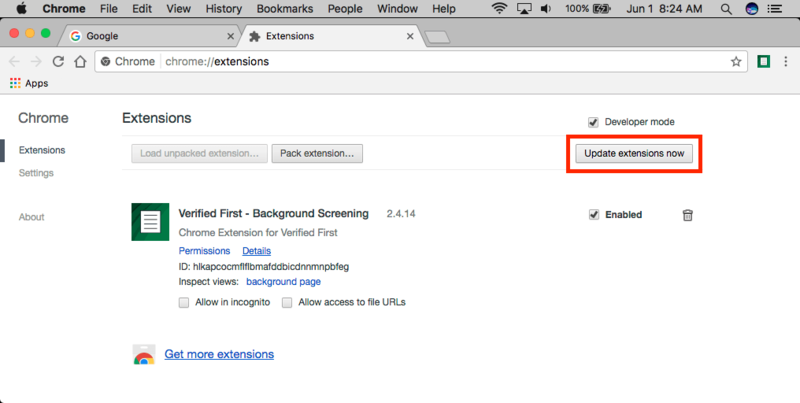 Click on 'Update extensions now' and the latest version of the Verified First tool will be installed. You may notice that the 'Build Version' number changed to reflect the latest update. If this does not correct the issue, please contact Client Services at ClientServices@VerifiedFirst.com or 1-844-709-2708.